So, you are totally spellbound to see the natural beauty of Norway. You have enjoyed the magnificent scenic beauty and charm of Bergen or perhaps you have just had one of the day hikes in Bergen, now you are a bit hungry. You are a budget traveller like me or you are not willing to spend much in expensive restaurant but your stomach needs to get refiled. Do not think a lot. You have plenty of options in Bergen. You can visit to the great Fish Market where you will get cuisines across the world. 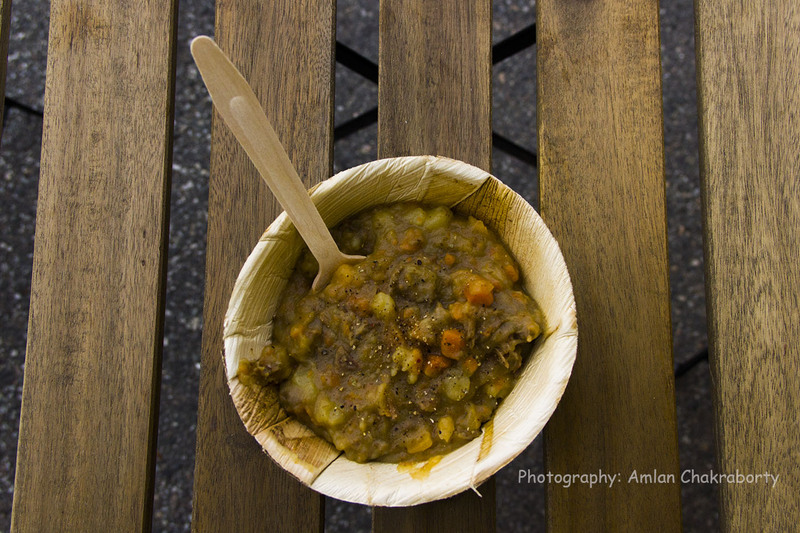 But your taste buds want to get pampered with some Norwegian street food. 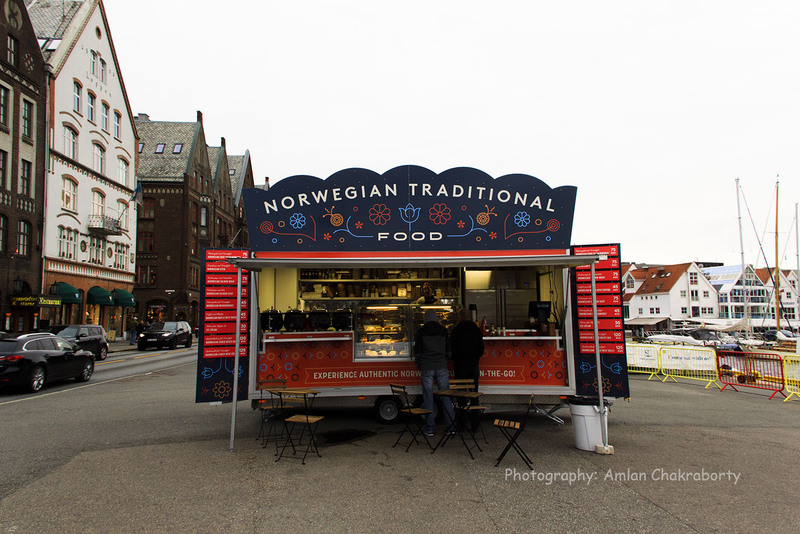 Fine, a Norwegian Food Truck is available for you from 7 am to 11 pm just on opposite to Bryggen – the old town of Norway, a UNESCO World Heritage site. 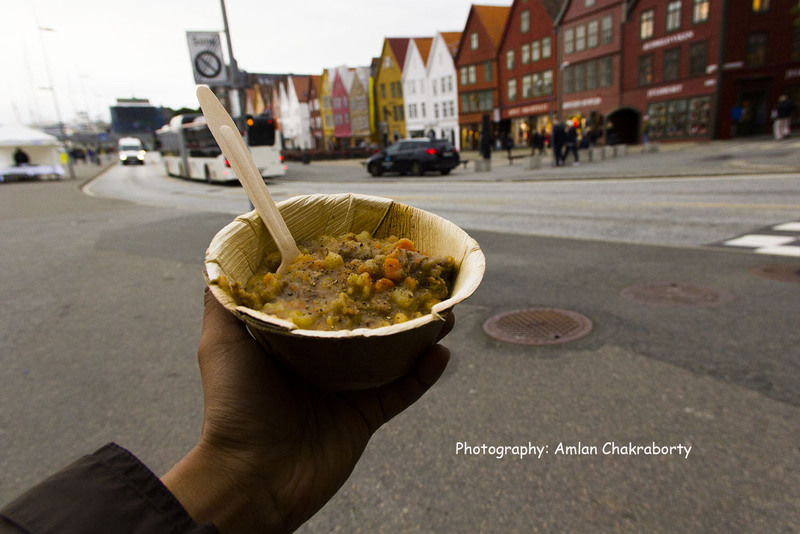 There are lots of options but I would suggest you to order for Norwegian Stew – a Viking dish is served by some college students by only 75 NOK or approximately 7 Euro which is cheap considering the other options of expensive Norway. Minced Lamb is first marinated with yogurt, onion juice and garlic juice at least for two hours. Then the mixture is boiled cooked with potatoes, carrots. Salts and sugar, paper dusts are added accordingly and cooked for an hour in low flame to let a thick gravy. When the mixture is done, it is served hot either with tortilla bread or normal breads. Once upon a time it was main course dish for the Vikings. Since you are enjoying a Viking dish and sitting opposite to the old town of Vikings your mind has definitely doing a time travel where you are feeling yourself a Viking of 12th Century. Previous Lucknow Travel Guide for a "Two day trip"